NALAS Association Development Task Force today focuses on gender mainstreaming in the Network-integration of gender perspective in the NALAS strategic, planning and statutory documents, as a contribution to mainstreaming gender at local level. NALAS pays special attention to promoting gender equality at local level, to ensure equal visibility, empowerment, responsibility and participation of both sexes in all spheres of public and private life, equal access to, and distribution of resources between women and men and accepting and equally valuing the differences between women and men and the diverse roles they play in a society. NALAS is also a promoter of the European Charter for Equality of Women and Men in Local Life. “I am very pleased to note that in the past three years NALAS has positioned itself as a strong advocate for gender responsive policy making in the region. At UN Women, we are happy to have contributed to the enhanced capacities and knowledge of the Network and its associate members in the field of gender equality”, said Ms. Ivona Paunovic Bishevac from UN Women. Despite the positive actions taken, there is a long way to go for South-East Europe to achieve gender equality at local level. NALAS recent research showed that only 8.4% of the Mayors in South-East Europe are women, while 29.9% of the Municipal Councillors in South-East Europe are women. 86% of the Presidents of NALAS member LGAs are men, while in 57% of NALAS member LGAs the administrative staff is predominantly women. To address these injustice, NALAS developed gender equality policy position and action plan and mainstreamed gender in NALAS statute. “The action plan is operationalising and localizing NALAS’ regional policy positions. We have foreseen actions related to staff employment, transforming organisational culture, raising awareness, developing capacities, identifying and learning from best practices, etc.”, said Mr. Boran Ivanoski, NALAS Program Officer. The Network designed an e-learning course in “Introduction of Gender Mainstreaming at Local Level” and currently delivers it to a group of 40 participants from SEE municipalities and LGAs. “The course aims to enable participants to act both as individuals, and as representatives of organisations working for gender equality. 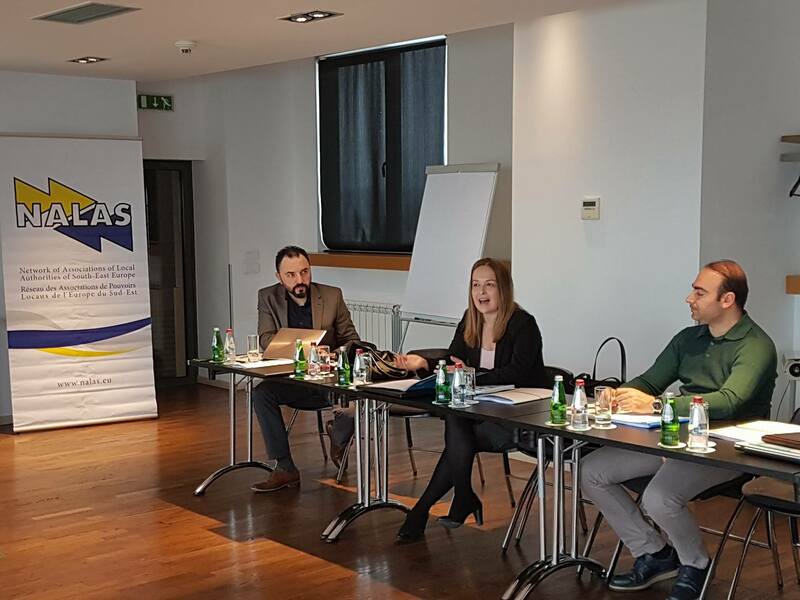 The course targets decision makers and practitioners, administrative staff at local level and in the LGAs, enabling them to understand gender issues and become the change drivers in their organisations and municipalities”, said Jelena Janevska, NALAS Knowledge Manager. This workshop is supported by the UN Women regional project “Promoting Gender Responsive Polices in South-East Europe and the Republic of Moldova”, financially supported by the Austrian Development Agency and the Swiss Agency for Development and Cooperation.